With a Population of 207.7 million, Pakistan is the Seventh-most Populous Country in the World. Pakistan is the seventh-most populist country in the world. According to the 2017 census, its population is 207.7 million and has grown at the rate of 2.4 per cent per year in the intercensal period. Its urban population, on the other hand, has grown at the rate of 2.7 per cent per year during the same period and is estimated at 75.5 million. The urban housing demand in Pakistan is 350,000 units per year. Of this, 62 per cent is for lower income groups, 25 per cent for lower-middle income groups, and 10 per cent for higher and upper-middle-income groups. The formal supply per year is 150,000 units. 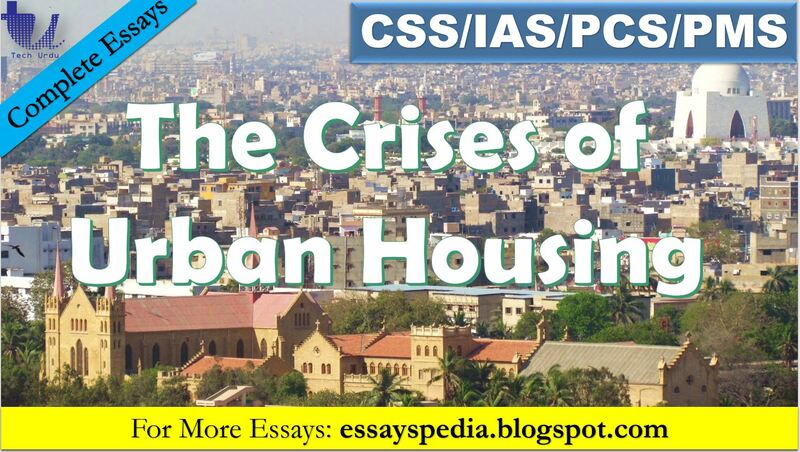 The unmet demand is taken care of by the creation of informal settlements of two kinds: occupation and subdivision of government land (katchi abadis or squatter settlements) and, second, by the informal subdivision of agricultural land (ISALs) on the periphery of the urban settlements. In the last two decades, however, the demand is increasingly being met by densification of existing low and lower-middle income settlements. To respond to these problems, low-rise and low-income settlements near places of work or town centres are informally becoming high-rise, with all the physical and social problems of unplanned densification. The units are also becoming increasingly smaller so as to become more affordable. The politician-developer nexus is producing gated communities for the elite and middle classes, segregating cities further into rich and poor areas, and thus, increasing the possibility of urban conflict. The process of gentrification is taking away space from the public and transferring it to the rich and the middle-class. This is being facilitated by large loans from the international financial institutions leading to massive speculation which needs to be contained. This speculation has put housing beyond the reach of even middle-class young couples. It has been seen in the case of electricity that the poorer sections cannot afford to pay their energy bills since the costs are exorbitant. They also have to bear the brunt of power load-shedding as opposed to higher-income settlements. In the case of solid waste management, the katchi abadis have been ignored. Unlike 15 years ago, a family now has to pay to enter a park for recreation purposes and has to pay a parking fee to park their motorbike or car. According to the Urban Resource Centre’s (URC) research, low-income visitors to the more expensive parks have decreased. The expansion of urban centres, in the absence of land use planning or its implementation, is swallowing up valuable agricultural land and damaging the ecology of the regions in which the cities are located, depleting water resources and polluting water bodies. It is also destroying geological formations, forests and natural drainage systems. This is causing flooding and bringing about a rise in temperature, creating heat island effects in the urban areas, especially in the high-density high-rise informal settlements. If unchecked, these environmental hazards will increase. There is a need for new building design and technology which is affordable for low-income groups (especially with relation to the insulation of external walls and roofs of buildings and planting trees) to deal with the effects of climate change. Urbanisation on the periphery is also destroying traditional cultural precincts, intangible cultures and archaeological sites. With the neoliberal regime and its emphasis on direct foreign investment, master and strategic planning has been replaced by unrelated projects for which funds are available in the international market and with international financial institutions. The URC in Karachi is of the opinion that Pakistan requires a serious urban land reform. Such a policy would involve a heavy non-utilisation fee on land and property and an urban land ceiling act whereby no one person can own more than 500 square meters of urban land. Similarly, no settlement should have a density of less than 400 persons per hectare and no person who has taken a loan for house building once should be given another loan. In the presence of a powerful developers’ lobby and elite interests, it is difficult to implement such an urban land reform. But given the changing political scenario in Pakistan and the activism of the higher courts, such a conversation can take place. Finances for such large interventions are not available, and even if they were, they are not feasible for social and political reasons. What is required is house improvement loans for the katchi abadis and technical advice on how to use those loans effectively. In addition, design and technical advice are also desperately required for the actors in the informal densification process. This advice can be given to individual families, neighbourhoods, or to the informal developers and contractors working in the low-income settlements. The credit facilities available through banks and the House Building Finance Company (HBFC) are not sufficient to cater to even a fraction of the demand. Without reform in these institutions and their means of raising and disbursing funds, the situation will not improve. A very important element that needs to be introduced in the housing demand is to be better met is the creation of credit for the purchase of land for individuals as well as small cooperatives. To freeze the shelter shortage to present levels (an 8.5 million unit backlog growing at the rate of 200,000 units a year), an outlay of 100 billion rupees would be required annually for the next 10 years, whereas the 2017-18 national budget has allocated a mere 2.329 billion rupees for housing. The above recommendations will need time and effort. A more important reality is that for the foreseeable future, housing will increasingly be provided by the formal and informal private sector. Formal because increasingly funds are being made available for it, and informal because there is a demand for it and there are huge profits that can be made from it with very little investment. To deal with this situation there is need for some sort of intervention to make the formal and informal housing product better designed and more affordable. It is also necessary to develop ways to open land for informal development through the provision of appropriately located road infrastructure and by enacting legislation through which the state can acquire vacant land for low-income housing.